In statements issued on the Saudi official news agency, King Abdullah bin Abdulaziz Al Saud said Sunday’s deal in Riyadh paving the way for a return of Saudi, Bahraini and UAE diplomatic missions to Doha, “will be a new page to push forward collaborative work, not only in the favour of GCC nations, but those of the whole Arab and Islamic world”. Abdullah’s remarks came a day after the Saudi ambassador returned to Doha and resumed his duties, eight months after his withdrawal. Qatar’s rejection of Egypt’s military-led toppling of President Mohamed Morsi, who belonged to the Islamist group, has also earned hostility from Cairo. “I appeal to the people and the government of Egypt to seek the success of this step in the path of Arab solidarity,” the statement quoted Abdullah as saying, asserting the GCC states support to Egypt and its leadership. Later on Wednesday Egypt issued a statement welcoming the decision by the GCC to resolve the disagreement, saying that “an all-inclusive framework for unity, harmony and accord has been shaped”. “Egypt renews its pledge it will always remain the home of all Arabs; will not relent to support our fellow brothers; fully respond to this genuine call, which represents a huge leap on our journey of joint Arab action,” the statement said. Egypt and Qatar have a long record of strained ties, which hit new levels following last year’s political developments, culminating in the withdrawal of Egypt’s diplomatic mission from Doha. 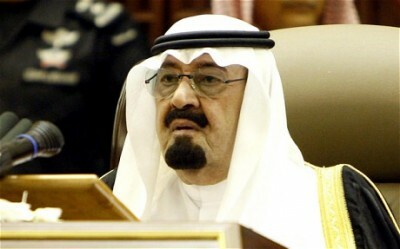 Abdullah, in comments carried on the news service, also urged news outlets to “vie for the achievement of this reapprochment we seek, in order to end all disputes regardless of its causes”. Three of Al Jazeera English reporters have been sentenced to seven and 10 years in Egyptian prisons .